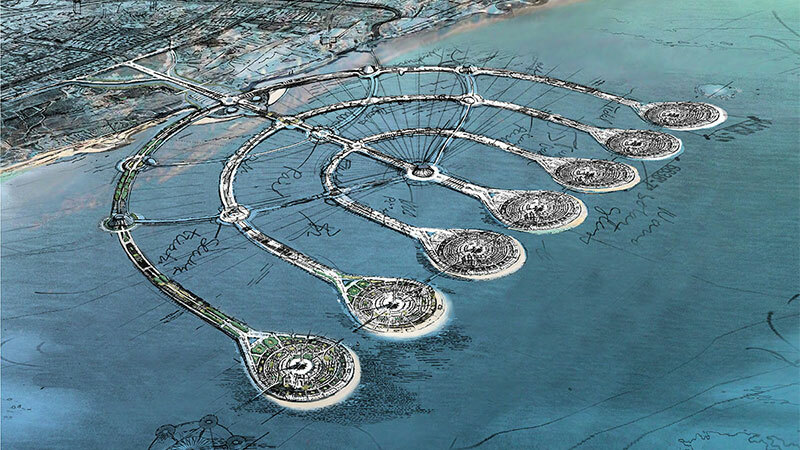 The Menorah Islands Project is a concept for a group of nine artificial islands—seven permanent and two that emerge from the water—off the coast of Israel in the Mediterranean Sea. The concept calls for the islands to be laid out in the shape of a menorah candelabra. A beautiful place to live, work, and vacation, the Menorah Islands would serve several purposes. It would be a world center for education, a model for environmentally-friendly practices, a showcase for emerging technologies, and a safe haven for people of all religions and races. Click here to learn more.